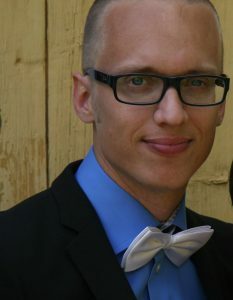 Simo Häkli graduated in 2013 from Turku Conservatory, Finland. There he studied singing with Jouni Kuorikoski, choral conducting with Markus Yli-Jokipii, lied with Eveliina Kytömäki, opera with Marko Autio and composing with Tuomo Teirilä. Häkli has sung as a soloist and a chorister with many choirs, the most important ones being the Musicians of the King’s Road, a professional Finnish baroque orchestra and choir, and the Turku Conservatory Chamber Choir, both conducted by Markus Yli-Jokipii. Häkli has been the assistant conductor of the Turku Conservatory Chamber Choir, and has also conducted his own concerts, the most recent in his own graduation concert conducting Bach’s Ich habe genug, Vasks’s Klusas Dziesmas and Häkli’s own composition Songs to my child for instrument, vocal ensemble and soloists. His interest in music is wide, ranging from renaissance music to today’s music, all vocal music being close to his heart. At this time he is very excited about Soviet and post-Soviet composers like Shostakovitch, Schnittke, Pärt, Silvestrov and alikes. Simo Häkli will be studying church music at Sibelius-Academy (Helsinki) from August 2013.